Well, it's the first day of December and finally had some sunshine so a good start to a new month. The ice is finally gone and it's warming up during the week as well. 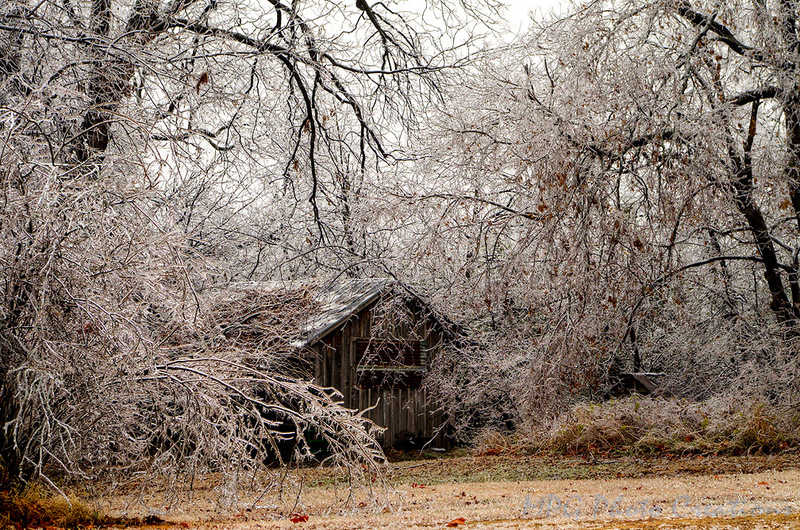 This is an image on our property of an old shed with some character that I took an image of in among the icy trees. We were lucky that we only lost small branches and power for only 2 hours. Others were not so lucky. It was beautiful even though destructive at times.